Been awhile, huh? But I had to participate in this amazing, prize-filled blog hop celebrating the 5th anniversary of A Blog Named Hero! I'm so proud of ABNH and I'm so grateful to Lisa and Jessica for continuing to keep it going. And to all of you, for playing along. So, prizes: full of them. Make sure to comment on as many stops along the hop as you can, there are 2 days worth of beautiful projects to ogle and over $500 in giveaways! You can see the full list of participants and prizes at A Blog Named Hero. If you get lost along the way, you can find links to get you back on track there as well. Now, I'm more than a little rusty as far as card making and blogging goes, but I did what I could with what I could put my hands on. My craft room is a jumble while we're doing a little painting and room switching at my house. But I was able to put my hands on my favorite Hero Arts floral stamp and my Zig Clean Color Real Brush markers. My card is simple, but after almost a year of not making a card I can't complain too awful much. I think the sentiment speaks for itself. Your next stop on the hop is Simon Says Stamp, our sponsor from the very beginning. Thank you, Heidi and Simon for believing in Linda and I, all those years ago. Happiness always on your 5 year anniversary ! Great coloring ! 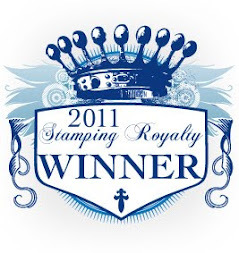 Probably my favorite HA stamp, and you've shown it off beautifully, Mary Dawn! Beautiful card! I love this blog hop with all the beautiful flowers! Your card is wonderful. If that's how good mine would become if I took a year off I guess I'd better start now. I love simple cards and yours is so pretty. Love the hydrangea stamp. Lovely card Mary Dawn!! Thanks for sharing your passion with us. Beautiful card! I love the soft, gentle colors and the CAS designs of your cards. Happy room switching! Love this card. Great ideas. YAY! Miss your work and this is absolutely gorgeous. LOVELY. Have that stamp too! Love the coloring and simplicity. Love how you colored that gorgeous hydrangea! Thank you! Happy 5 years! For a year out of stamping, this is amazing - so crisp and elegant! Best wishes with your painting! Happy Anniversary! Flowers are my favorites, and this one is beautiful. I read the history of the Blog : so congratulations and a big thank you for you as well ! Your card is simple and so beautiful - I love it ! that stamp has always been one of my favorites too Mary Dawn - love how you've designed with it - have been a follower of ABNH since the beginning. Hydrangeas are a favorite of mine. Thanks for sharing this lovely card. Your card is colored beautifully and the design is wonderful! I have the hydrangea stamp...now I know how to color it! Happy Anniversary. Beautiful Card! 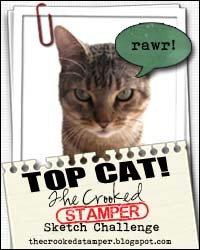 This is one of my favorite stamps! Beautiful card, you must be so proud....5 years and you were at the start!!! A beautiful card. I love the hydrangea and the colors are fab. I absolutely love hydrangeas, and this stamp from Hero Arts has always been one of my favorites. Your card is beautiful! Gorgeous, absolutely gorgeous!!! You've made me want to get out my zig markers and play!! So beautiful! A perfect card for spring! Congratulations!! What a beautiful elegant card! ! Great idea for a celebration. Love the card! Cant tell its been a year since your last card because this is really gorgeous!! I love the simplicity. Beautiful! Happy 5th Anniversary! Thanks for the blog hop. What fun! I love you card! Aw, welcome back! What a long legacy loaded with great people and great companies! Well, you aren't that "rusty". This card is beautiful! Beautiful card. Sometimes the simplest card is the best. Beautiful card - love the colors. CONGRATULATIONS! I love hydrangeas...especially blue ones...beautiful. Congratulations on a wonderful milestone! Hydrangeas are one of my husband's favorites, and I've come to love them over the years. What a gorgeous spring card, love your design and colouring! Lovely hydrangea...one of my favorite Hero Arts images. That hydrangea is beautiful. I wish I had a green thumb, I'd love a garden full of them. Pretty card. Thanks for sharing. Beautiful card! Congrats on your milestone! This is my first visit to your blog and wish you all a happy 5th. Your hydrangea is colored and shaded beautifully. You would never know you took a year off. I have this stamp and love having inspiration on different ways to use it. This is simple and beautiful! What a lovely hydranga you made! Gorgeous card and love that stamp! Beautiful card, you should do it more often! Love the hydrangea! So pretty! Love your card!!! Flowers are my favorite when creating cards. They make me so happy and I hope the recipient feels the same way. Beautiful card...one of my favorite images. Thanks for sharing and a chance to win the give away. Beautiful card. Your coloring is very inspiring. Beautiful card, it's one of my favorite stamps also. Just used it in February. Oh this is so beautiful. I love the vibrant colors the zig markers give, I must start collecting those! Beautiful flower image. I love hydrangea's and this stamp fits the bill. For a year off of card making, I'd say you're doing just fine! One of my most favorite flowers. Beautiful! Beautiful card! Love Zig markers! I always love the stitched look, beautiful card! I like your choice of stamps. You have given me new ideas of what I can do with some of my large flower stamps and still make it look nice. Keep up the good work! The coloring is beautifully done! Love the touch of the pruning scissors in the photo! Beautiful simplistic card! I love the coloring! LOVE that simple sentiment placement! Happy 5th Anniversary!! I love how this community comes together to celebrate everyone's milestones!! Such a beautiful card. The coloring looks like a painting. Absolutely gorgeous! I have this stamp and it is one of my favorites. Congratulations and Happy Anniversary! Very pretty card! So realistic. Makes me excited for summer blooming season. A beautiful card that expresses spring. Takes my breath away, simply beautiful! I love hydrangas and you made this one so life-like. Truly an inspiration. I am going to my hand at this. TFS! Very pretty card. Thank you for sharing. I love blog hops. Just when you think it can't get any better, something awesome pops up. Thanks for sharing. Lovely card using one of my favorite HA stamps! I love this card ! My favorite flower - blue hydrangea. So beautiful! Love this card! Hydrangea's are my favorite flower! Really makes me yearn for spring to hurry up. Very pretty colors. Hydrangeas are so much fun to color and you did an amazing job on this one. Love the hydrangea, very pretty! oooo! luv the smaller square focal panel! I love the colors on your hydrangea - so soft and subtle. Beautiful card with My favorite flower, wish They could grow in AZ. Such a beautiful and elegant card, thanks for sharing! It's fun to see the history of ABNH. It's amazing that you were there in the beginning. It's great to see people and products making a comeback for the anniversary. Pretty flower and pretty card! I really like your design with the image offset, the stitched border and that soft subtle background on the base. You don't look even a tiny bit rusty at this! What a beautiful card! Congrats on starting something so successful. Clearly the love for Hero Arts stands the test of time! So happy to see so many companies and bloggers come out to support ABNH!!! Like the card - your skills aren't rusty at all. Very pretty card! I have that stamp and just started using the Zig markers so I will give that one a try. Thank you for sharing your talent! Your card is beautiful--incredible coloring. TFS. Love your card! 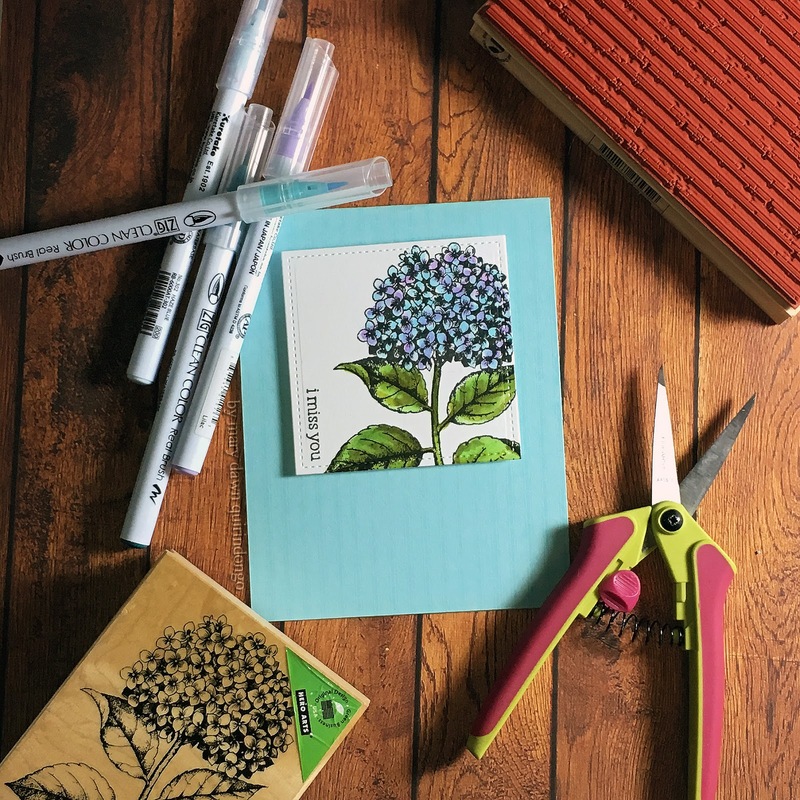 The hydrangea stamp is so great for many types of cards. Congrats to ABNH! Simply said....this is a beautiful card! I love your card. I see I need to work on my coloring! Great job!! What a lovely card, love the colors. I love your card. Hope you soon can get back to making cards again. A beautiful card with beautiful deep colors. Beautiful coloring - I was wondering how to color this card. Bee-utiful coloring of the Hydrangea. I have that stamp & need more practice at coloring to be anywhere close to yours. Beautiful card, I just got this stamp. Love your card! So pretty! Beautiful card. I love the realistic coloring, such perfect tones. Hydrangea's are so pretty and fun to color. I love the Zig's and have them all. Beautiful card with a beautiful stamp! I think your card is beautiful. Love the colors. I also want to thank you for starting the wonderful ABNH. It is such a great source of inspiration for one of my favorite companies - Hero Arts! Beautiful flower and coloring I would never know you haven't been crafting for a while. The image does make it easy to make a beautiful cards. thanks for sharing. Your coloring is gorgeous. Love that stamp. I love the stamp and colors you used, it is a beautiful card! I love this so much. This is also my favorite Hero Arts stamp, and I would have used it, but mine is in storage. The new hydrangea they have is a close second. I'm so glad you participated in this hop Mary Dawn. If it wasn't for you, this blog wouldn't exist. Not a bad little legacy, my friend. Beautiful card - love that stamp and esp how you have used it! Gorgeous! Gorgeous card! No one would ever know that you have been out of your craft room, it's gorgeous. Beautiful card. Love the blue and the hydrangea is so pretty! Love the combination of colors in the flower - very pretty card! love that stamp, lovely card too! I don't think you are a bit rusty at all. Your card is lovely, so maybe simple is best. You don't look rusty at all, beautiful. Beautiful hydrangea card....love how you colored it! Beautiful hydrangea card...love how you colored it! I Love Hydrangeas they are my Mom's favourite flower. 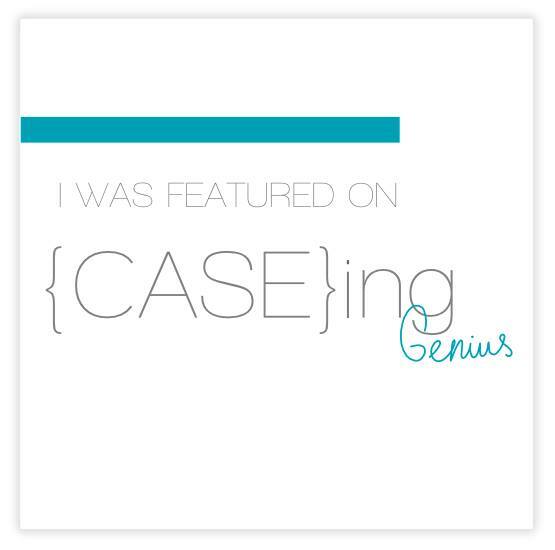 �� This is the first time I've seen your blog and I am really impressed. Happy 5th birthday ♬♫♪. Beautiful card. Love that flower. Thanks for the inspiration and participation in this blog. Such a pretty card Mary. Love the hydrangea image. Fantastic coloring... love the shading on the tiny flowers. Congratulations! I love using older stamps that still make me happy. Great stamp from HA and a beautiful card. Great card...I love that hydrangea! This is so pretty! I love that the image goes off the panel and the coloring is wonderful! Looks very "unrusty" to me. Guess true talent doesn't rust. Thanks for sharing your beautiful card. Looks pretty enough to pick. Simply STUNNING!!! LOVE that pretty hydrangea!! What a beautiful, clean card with such pretty colors! I've been trying to decide about Zig clean color markers and have had my eye on them for awhile! I just adore this step too and really need to add it to my collection! Thank you for sharing. Hi Mary Dawn, you may not have made a card in a while but you certainly aren't "rusty"! Its beautiful! TFS! This is one of my go to stamps. Have loved it for years. I love this floral stamp and your coloring is beautiful! If this is what you can do when your crafting is "a little rusty", then I'll have to come back and look at all the amazing things you made before taking a break! That card is gorgeous! Oh my! I have that stamp! I need to get it out and make it new again! Thanks for the inspiration! Well, for nor stamping for awhile, you don't look rusty to me! Beautiful card! Thank you for following your idea five years to start an inspirational blog. Yay for entrepreneurs! I hope you have time to start creating again your card is beautiful. Thanks for the inspiration and a chance to win. Beautiful card. Love the coloring on the flower. I can see why stamp is your favorite! Happy Anniversary! & Thank You!!! Such a beautiful card! Hydrangeas are one of my favorite shrubs. Hero Arts is A+++! Just look at that card!! Oh I have this stamp - love what you did with it - beautiful!! You did a fantastic job with the card. It sounds like you miss this a little. Beautiful coloring on the hydrangea. Doesn't seem like you are rusty to me! Your card looks great! This is so pretty! I love the sentiment!